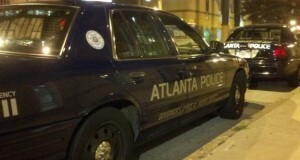 The Atlanta Police DUI Task Force or H.E.A.T. Team worked in conjunction with the Governor’s Office of Highway Safety. The Atlanta Police DUI Task Force received grants to supplement their budget through Federal and State funding, the Governor’s Office of Highway Safety including the H.E.A.T. program (Highway Enforcement of Aggressive Traffic), and other sources. The primary goal of the Atlanta DUI Task Force/H.E.A.T. Team was to combat impaired drivers/drunk drivers. The DUI Task Force frequently utilized programs through the Governor’s Office of Highway Safety such as Operation Zero Tolerance, Click it or Ticket, 100 Days of Summer Heat, Thunder Task Force, and others. In Atlanta, the DUI Task Force/H.E.A.T. Team regularly patrolled Buckhead, East Atlanta, Midtown, Virginia Highlands, Interstate 75/85 and Georgia 400 corridors. The Atlanta Police DUI Task Force officers, like all Atlanta police officers, received at a minimum 16 hours of DUI training in the police academy. Most Atlanta DUI Task Force officers trained have received an additional 24 hour standardized field sobriety course endorsed by the National Highway Traffic Safety Administration (NHTSA). Some Atlanta DUI Task Force officers received additional DUI training such as ARIDE (Advanced Roadside Impaired Driving Enforcement), or DRE (Drug Recognition Expert). All of the Atlanta DUI Task Force officers are certified by the Georgia Bureau of Investigation to operate the Intoxilyzer 5000. Some Atlanta Task Force officers are certified on Georgia’s newest breath testing instrument, the Intoxilyzer 9000. 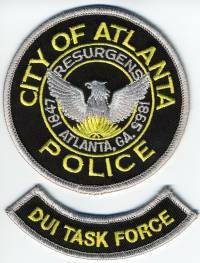 Contrary to what has been on the news, the Atlanta Police Department has stated that the DUI Task Force has not been “disbanded” but rather reorganized where highly trained DUI Task Force officers have been reassigned to each zone precinct to assist and train other Atlanta police officers in DUI detection. There are a fair amount of Atlanta police officers that make quite a number DUI arrests: Chad Botte, Jeremy Jeffry, and Brian Polke. Our DUI attorneys know how to investigate and challenge an Atlanta Police DUI Task Force/H.E.A.T. Team DUI . One of the benefits of investigating an Atlanta DUI Task Force case is that most of their patrol vehicles are equipped with video and audio. Their video equipment has some features similar to a DVR or TVO that many people have at home for their TV’s. Their equipment is continuously recording, but will not preserve anything until the officer either manually activates recording, or the officer activates his emergency equipment (lights). Then the video will preserve somewhere between 30 and 60 seconds of time before activation and typically the Atlanta officers will run their video until it is turned off when they reach the jail or their final destination. Videos can be obtained or viewed through the court process. Mothers Against Drunk Driving (MADD) awarded 11 Atlanta Police Officers in 2014 for their role in making Atlanta DUI arrests. Atlanta officers Patrick Meegan and Andrew Taddei received MADD Gold Pins for the number of Atlanta DUI arrests they made the previous year. Atlanta officers Justin J. Brodnik, Zachery Kramer, Michael Lencrerot, Stefan Moncrief, and John W. Thompson, IV were awarded MADD Silver Pins for the number of Atlanta DUI arrests they made the previous year. And, Atlanta Officers Mauricio Castro, David T. Holleman, Erin Pruder, and Charles Sendling were awarded MADD Silver Pins for the number of Atlanta DUI arrests they made the previous year. To build a strong DUI defense in Georgia, our Atlanta DUI lawyers start by learning everything possible from the information you present. Based on this core information, he or she can find more evidence by using specialized resources as needed to determine if all testing and other details of your arrest were accurate and legal. This determination is the basis for a strong drunken driving defense in Georgia. We have our own in-house investigator that gathers information, videos, 911 calls, possible surveillance videos, police reports, documents road/scene conditions and more. There are times when we use the services of toxicologists, accident reconstructionists, private investigators, breath test/field sobriety experts, medical professionals, video illustrators, to name a few, to help build a solid defense in your Atlanta DUI case. Our Atlanta DUI lawyers analyze a case from the initial stop or reason why the police were involved, looks for suppression issues with the admissibility of field sobriety tests or state chemical tests (breath, blood, or urine tests), and develop strategies in how to best conduct license suspension hearings, preliminary/committal motion hearings and trial. Our team approach is an effective way to ensure we have a sound strategy in defending your Atlanta DUI. Can I just enter a guilty plea myself and avoid hiring a lawyer? You can put your driving privileges in jeopardy if you simply go to court and enter a guilty plea. If you have been arrested by an Atlanta DUI Task Force/H.E.A.T. Team officer, you should have been served notice of an administrative license suspension action. If you enter a guilty plea without properly addressing the license suspension action, you will not be able to get a limited permit (if you are eligible to get one at all) until the suspension action is conducted properly. If your license is suspended for refusing the State’s chemical test from losing a license suspension hearing or failing to address a license suspension action within 30 days from the date of your arrest, your Georgia driver’s license or driving privileges will be suspended for a year with NO PERMIT. Properly coordinating and handling the criminal case and the license suspension action can improve your chances of being able to drive. Other charges in addition to your Atlanta DUI charge may be more serious and carry more punishment than the DUI charge itself. Sometime the prosecutor gives a bad plea offer. Even if you decide not to contest your case, an experienced Atlanta DUI attorney who is familiar with Atlanta Municipal Court, as well as the Fulton and DeKalb County court system can assess a plea offer to determine if it is worth taking or rejecting and decide to take your case to trial in Atlanta Municipal Court or in State Court. If you are facing an Atlanta DUI charge, license suspension action, or have been ticketed for a serious traffic offense, contact our experienced Atlanta DUI defense attorneys. We will meet with you free of charge to discuss your options, and provide advice based on our experience in the court where your case will be heard. Contact us today at 404.816.8777. An experienced Atlanta DUI lawyer is available 24 hours a day, 7 days a week to discuss your case.